There were no injuries when an abandoned industrial building on E. Tutt Street partially collapsed. It happened on Friday afternoon, April 12. 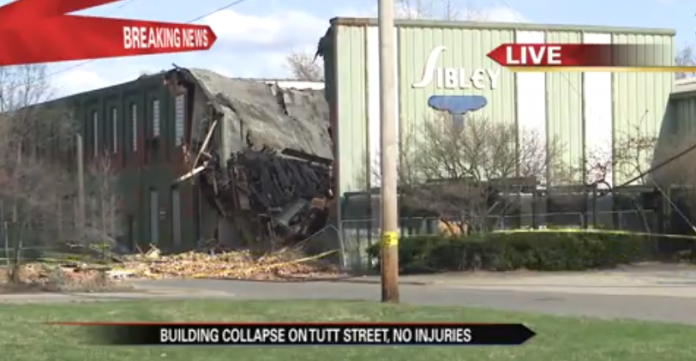 The building was formerly owned by Sibley Machine, according to 95.3 MNC’s reporting partners at ABC 57. Firefighters said the collapse might have been due to high winds at the time, ABC 57 reported. Authorities said there is the potential for further collapse due to the building being in poor shape, so Tutt Street was closed in that area out of an abundance of caution.